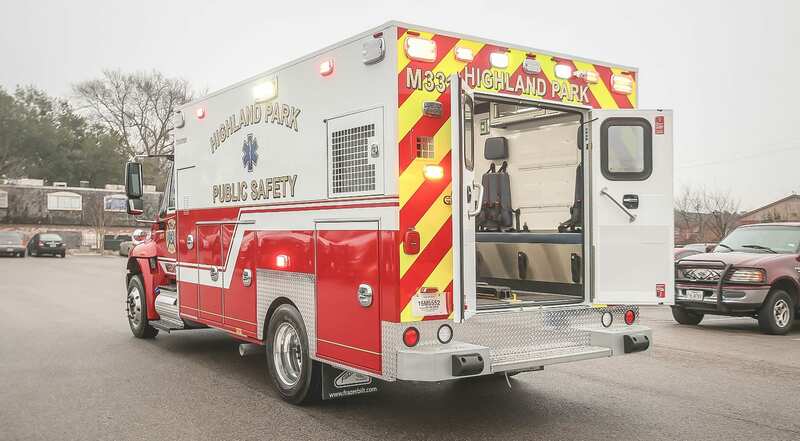 Customer Delivery – Highland Park Public Safety - Frazer, Ltd.
Take a virtual tour of the latest Highland Park custom EMS vehicle. 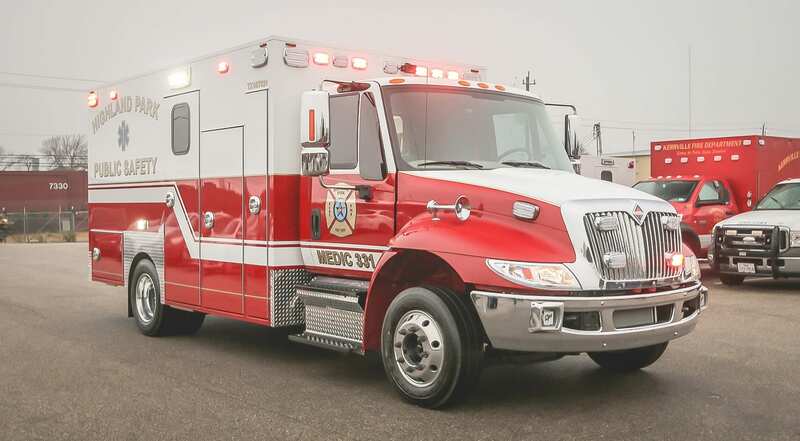 This type I 14 ft. custom EMS vehicle is mounted onto a International 4300LP diesel chassis. 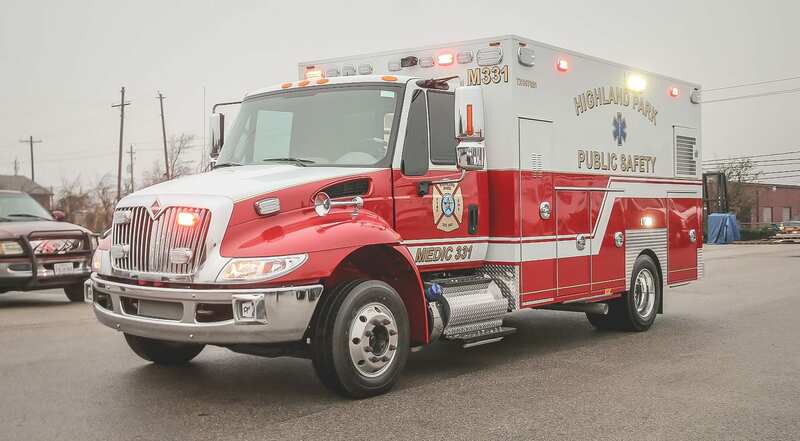 Visit the Highland Park website for more information on the services they offer. 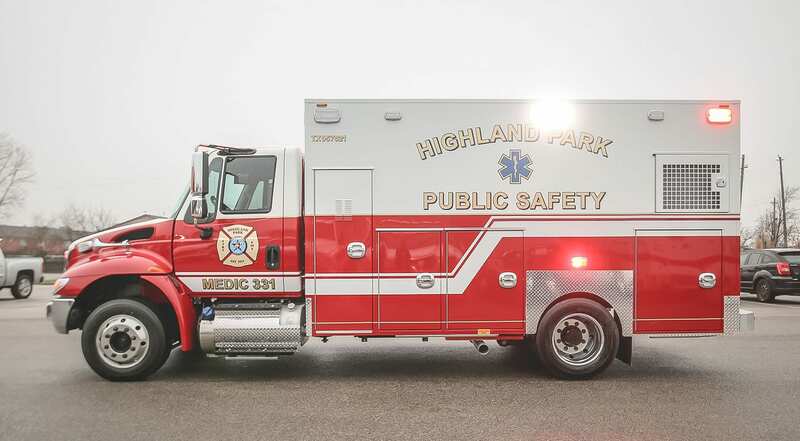 The Highland Park Department of Public Safety is a unique blending of fire, police, and emergency medical services. 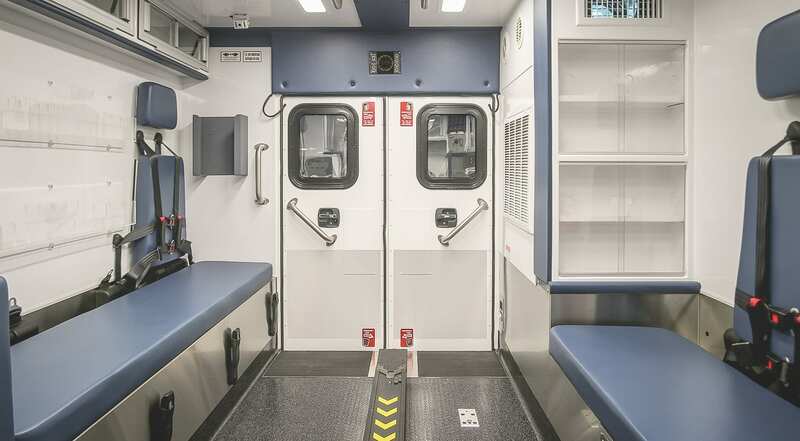 An officer with the Highland Park Department of Public Safety is assigned to one of three 24-hour shifts, either “A,” “B,” or “C” shift. 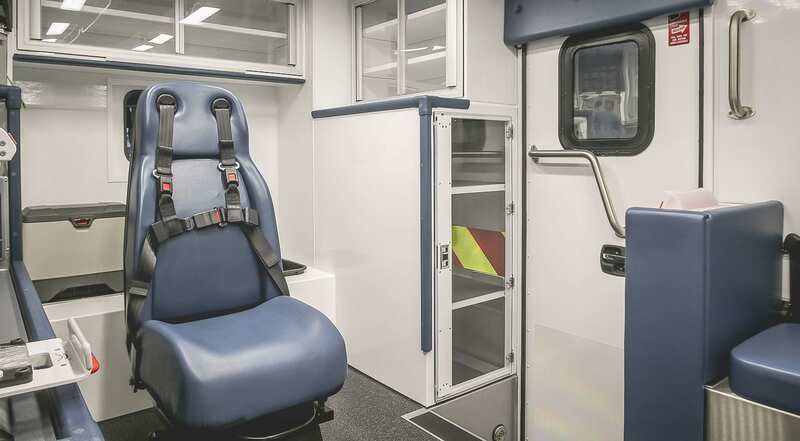 Public Safety Officers are cross-trained in police, fire and EMS, and engage in each of these disciplines every shift. 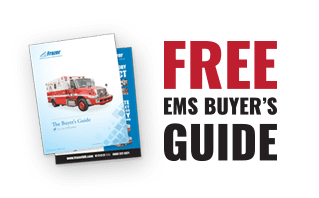 It is a demanding profession that requires highly qualified and motivated officers to fulfill the requirements of the profession. 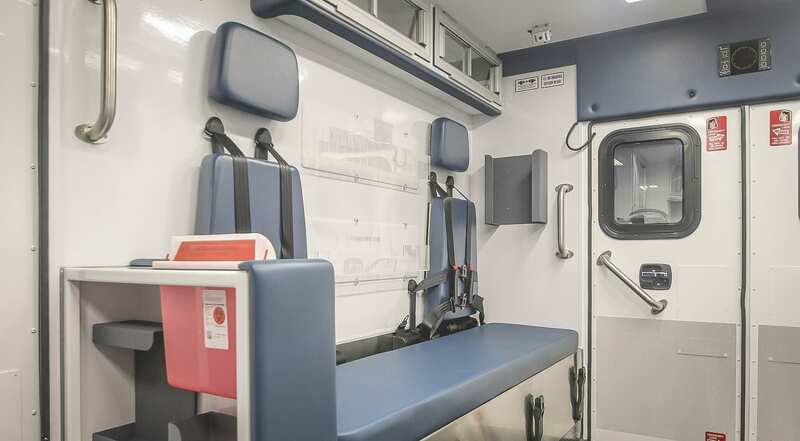 The Operations staff is supported by an equally motivated Administrative staff. 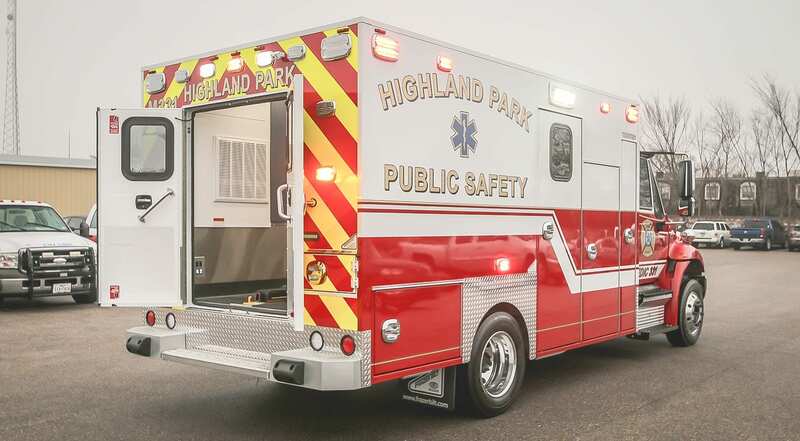 At the Highland Park Department of Public Safety we work hard each day to deliver the highest levels of service. 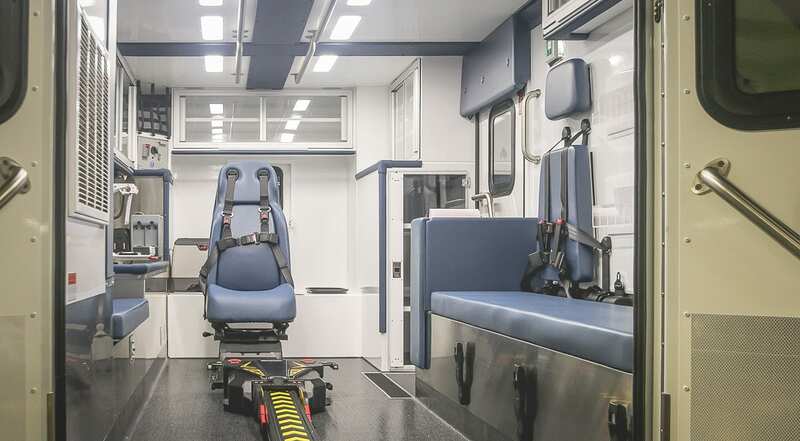 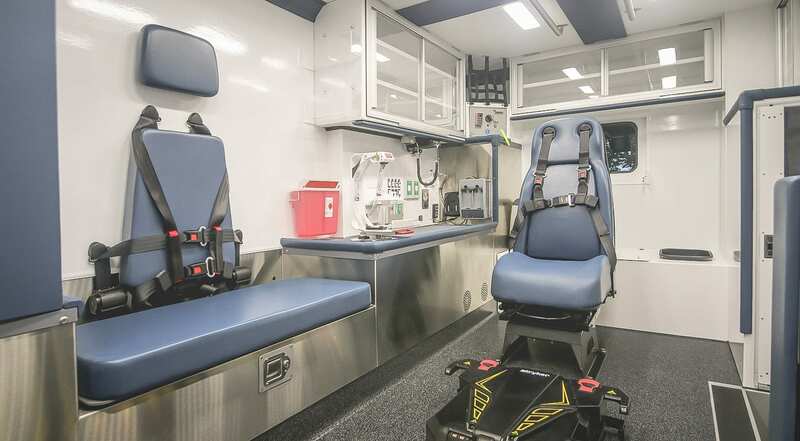 Learn more about our Custom Type I EMS Vehicle Options.